The McMullen Feature Series is our newest addition to The Terrace, in which we profile a current staff member or student ambassador working at the museum. Diana Larsen has been Assistant Director for Exhibition Design, Collections Management and Curatorial Affairs for the McMullen Museum since 2005. Her responsibilities have varied from designing and curating exhibitions to lecturing on restored artwork. Before settling here in Chestnut Hill, however, her prior schooling, enlightening travels and diligent training have cultivated her interests and career path. The daughter of a concert pianist and granddaughter of the first conductor of the Vancouver Symphony Orchestra (VSO), Diana grew up in a household that instilled her love of the arts. Diana credits her mother for taking her to see a range of performing arts and traveling to Europe—experiences that broadened her interests and perspective. She fondly recalls the first trip at age nine to see relatives in the Netherlands where she visited the Kröller-Müller Museum housing the largest privately owned collection of Van Goghs (aside from the Van Gogh family). “I legitimately fell in love with Van Gogh,” she says amusedly. Diana spent five years working at the MFA in Boston as a Curatorial Assistant in the Department of European Decorative Arts—coincidentally the same department in which current McMullen Director Nancy Netzer also worked. Her introduction to working in design began with a masters degree in Museum Exhibition Planning and Design at the University of the Arts in Philadelphia. She returned to Vancouver in 1993 where she curated four local history exhibits. One of the exhibitions entitled “Women in Aviation” allowed her to interview the first female flyers in Canada from the 1930s. “It was one of the best things I ever did!” she says enthusiastically. Diana settled back in Boston, only this time across the river at Harvard’s Fogg Art Museum where she served as a Curatorial Associate in the Department of Paintings, Sculpture and Decorative Arts for seven years. Reminiscent of her memorable travels as a girl, Diana’s position enabled frequent journeys to Europe where she picked up Monets from Edinburgh, brought paintings to the esteemed Louvre and Grand Palais in Paris and couriered works of art to Italy on three occasions. The dawn of Diana’s career at the McMullen began while visiting the 2004 Fernand Khnopff exhibit in Devlin Hall—what was then the old home for the McMullen on Boston College’s main campus. Diana ran into Ms. Netzer who lent her glasses to Diana’s sister, Mary, who had forgotten them there. A year later, Diana assumed her current position at the McMullen, working for over a decade with its exhibitions and permanent collection, facilitating its relocation to its permanent home in the former residence of Boston’s Cardinal Archbishop and advancing the museum’s growth efforts. 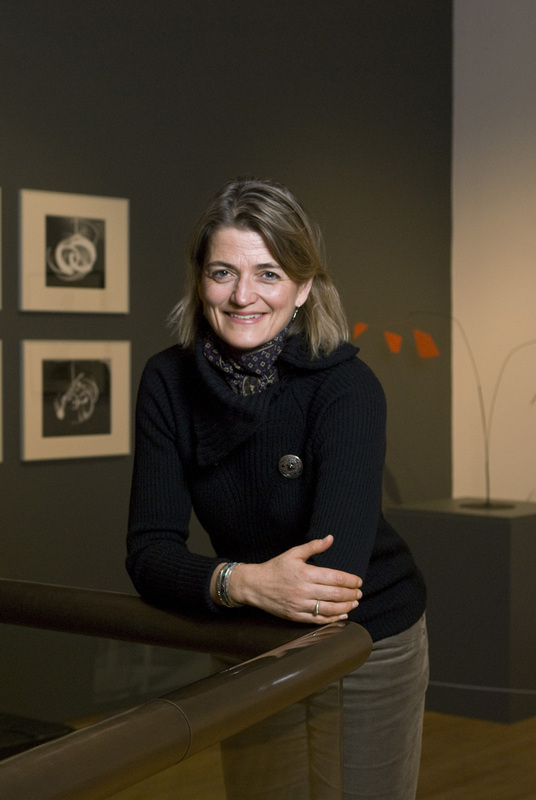 Diana co-curated two exhibitions with Vera Kreilkamp, a lecturer in the Irish Studies Program: “Rural Ireland: The Inside Story” (2012) and “The Arts and Crafts Movement: Making it Irish” (2016). Diana spent three years researching and finding rare artifacts around Ireland, including stained glass and metalwork from the Honan Chapel at University College Cork—objects that had never travelled outside of the country. Diana describes the research and design of the exhibition as some of her most cherished and rewarding work thus far. When asked about her favorite part about working at the McMullen, she emphasizes the diversity of the exhibits and the professionals with whom she works. Rich, indeed, as the McMullen continues to innovate and evolve—making strides with the passion and dedication of its impressive team busily working behind the palazzo’s glass and Neo-Renaissance facade.